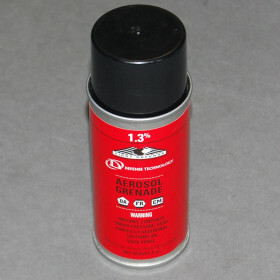 OC Aerosol Grenade (LE Only) » Protective Solutions, Inc.
Defense Technology OC Aerosol Grenade. Discharges in under 25 seconds, not flammable. 6 oz size. Highly effective for clearing rooms or structures without risk of fire.